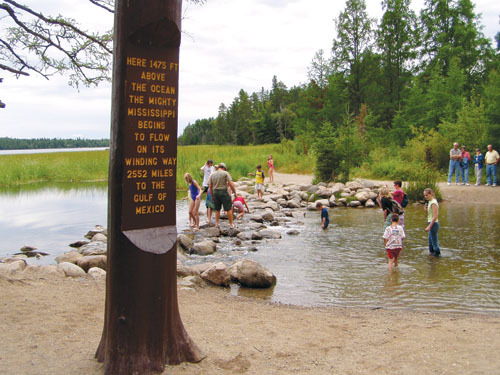 The Walker area offers many activities to explore during your stay at Woodland, including Itasca State Park, (30 min. drive) where you can walk across the headwaters of the Mississippi River. Hundred of miles of trails can be explored in the area including The Paul Bunyan Trail and Heartland Trail, which intersect in Walker. The Chippewa National Forest has maps available for their scenic nature trails. Nearby, hikers may explore the North Country National Scenic Trail, which extends from New York to North Dakota. A great selection of golf courses are located within a 5 to 10 minute drive including Tianna Country Club, Long Bow Golf Club, and Wedgewood Golf Course and Driving Range. Bear Pause Theater (20 minute drive) in Hackensack features 4 screens offering first run films and stadium seating. Pine River Riding Stable (40 minute drive) offers guided horseback riding, hay rides and petting zoo.